I fell in love with Bruges at first sight. Seriously, it was before I even explored the city centre. 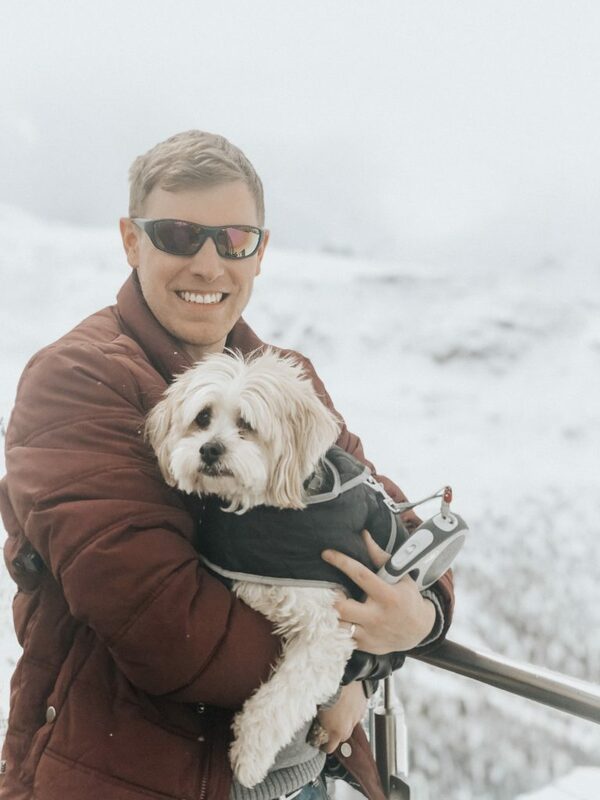 I fell in love with Bruges because I met the owner of the most perfect B&B and immediately knew that my weekend in Bruges would be one to remember. This small, canal-based city is a place that you can visit with your parents, your children, your significant other, or your closest friends. There is truly something for everyone. I left following my first trip knowing that I would return to spend many weekends in Bruges. With easy rail access from London, Bruges is the perfect destination for a quick city break. I’ve visited with my dad. I’ve visited with my husband. And I plan to visit many times more. 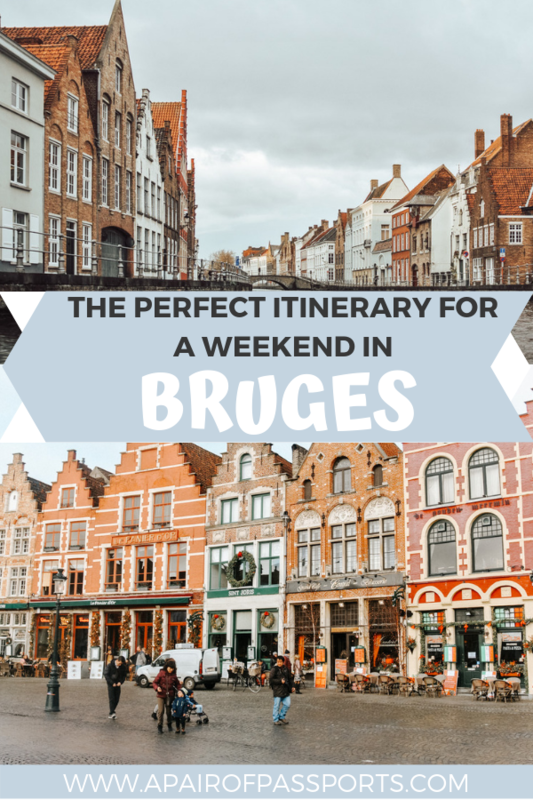 This post details my idea of the perfect itinerary for a weekend in Bruges, whether you’re visiting for the first time or the tenth! Looking for a romantic weekend break in Europe? Check out our favorite romantic cities! 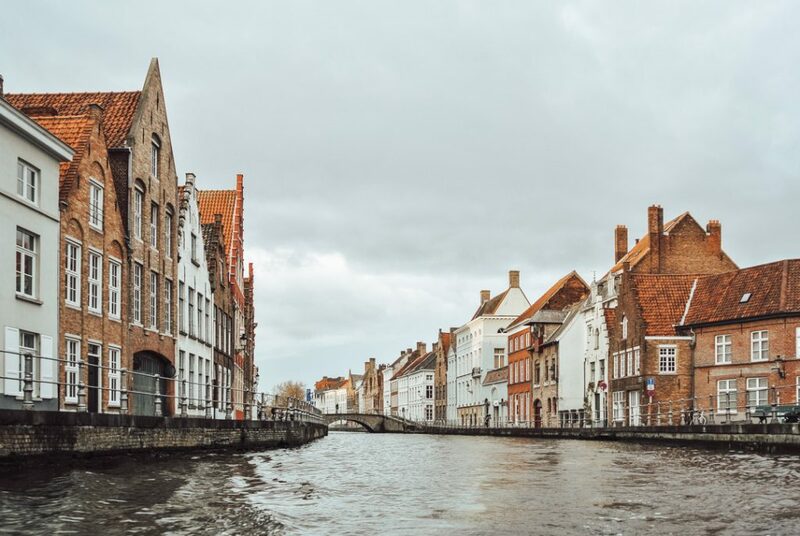 If you’re anything like me, you’ll want to experience the magic of Bruges from the moment you arrive for your weekend away. In order to do so, skip the touristy areas on night one. Save that for daylight. On your first evening, do as the locals do – wander, dine, and drink. After checking into your hotel, go for a stroll as you look for a restaurant a bit off the beaten path. We chose to dine at ‘t Lammatje – though it is meters away from one of the most photographed spots in Bruges, it was filled with locals and felt much more authentic (and budget friendly) than the touristy restaurants in the Markt square. For your meal, opt for something local, such as moules frites or beef stew. When you’re happy and full, go after another one of Bruges’ famous delights – beer. Most, if not all, of the beers in Bruges are served in a matching glass, cultivated to maximise the flavours of that specific brew. The local beer-focused bars have shelves upon shelves of glasses, a wide range of offerings of beer on tap (more in bottles!) and an extreme willingness of staff to help you find a beer that is right for you. Seeing which glass you end up with is almost as fun as picking the beer! Belgians love their beer, and they want you to, too. 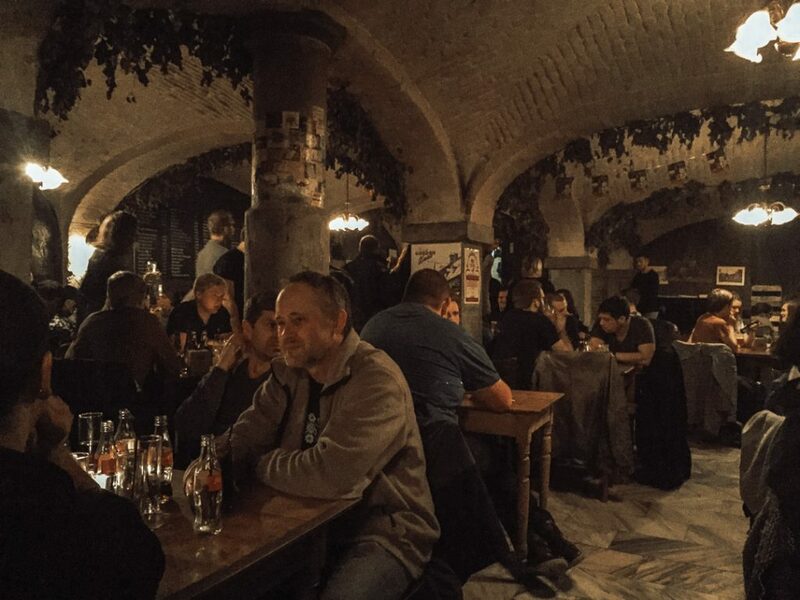 ‘t Beertje: An intimate bar in Bruges with one of the largest beer menus we’ve ever seen. It’s seriously a book! Over 300 bottle beers available. Open Thursday-Monday from 16:00. ‘t Poatersgat: Basement bar with a great beer selection and student crowd. It has a dive bar feel, so perfect if you are looking for a bar in Bruges that is a bit off the beaten path. Open daily from 17:00. 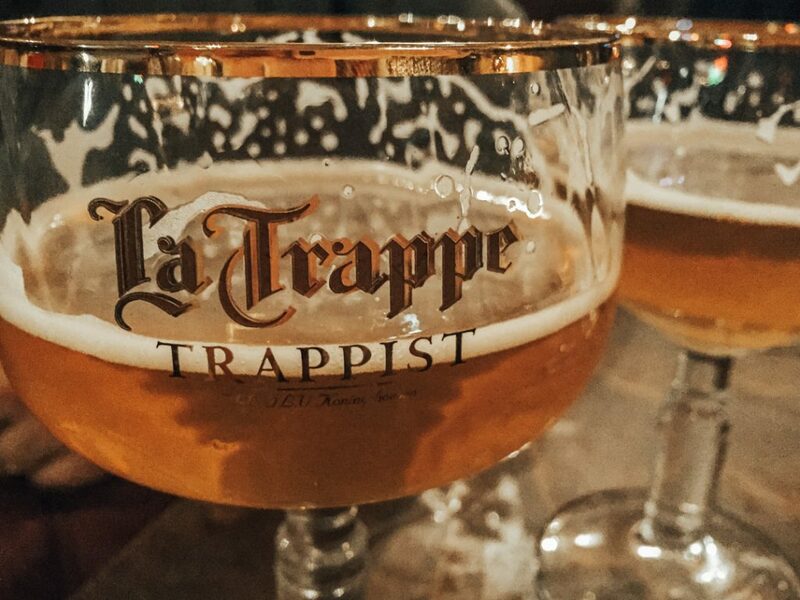 Le Trappiste: Cosy Trappist bar with friendly & knowledgable staff. 20 beers on tap and over 80 in bottles. Open Thursday-Tuesday from 17:00. Saturday is all about getting to know Bruges. 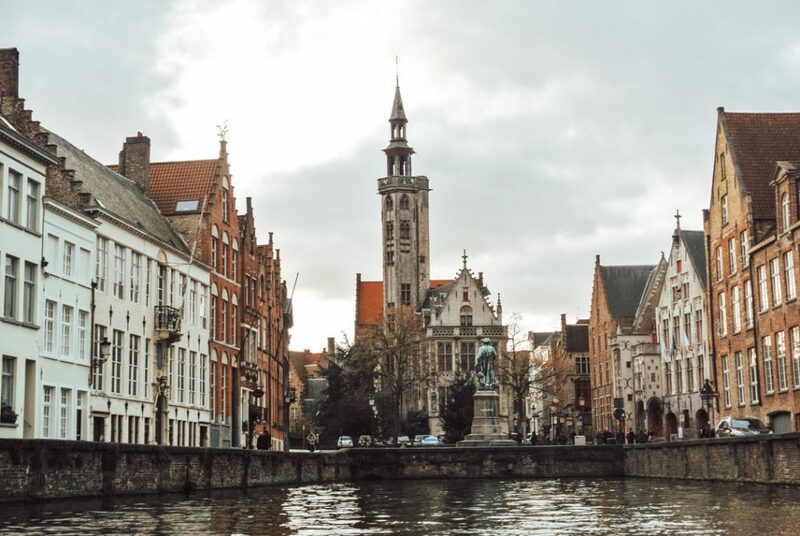 Spend Saturday visiting some of the top attractions in Bruges, as well as visiting the places that interest you the most. Whether you love beer, chocolate, or history, there’s a perfect way to spend Saturday in Bruges. Opt for a hearty breakfast in your hotel (if it’s included) before heading out for the day. 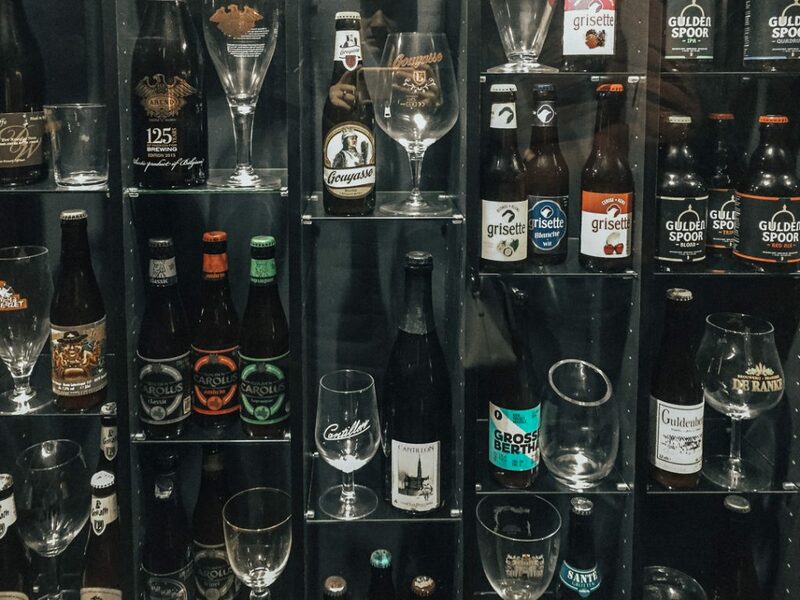 As much as we love exploring local cafes, during a weekend in Bruges we much prefer to spend our money on more important things – frites, waffles, and more beer! 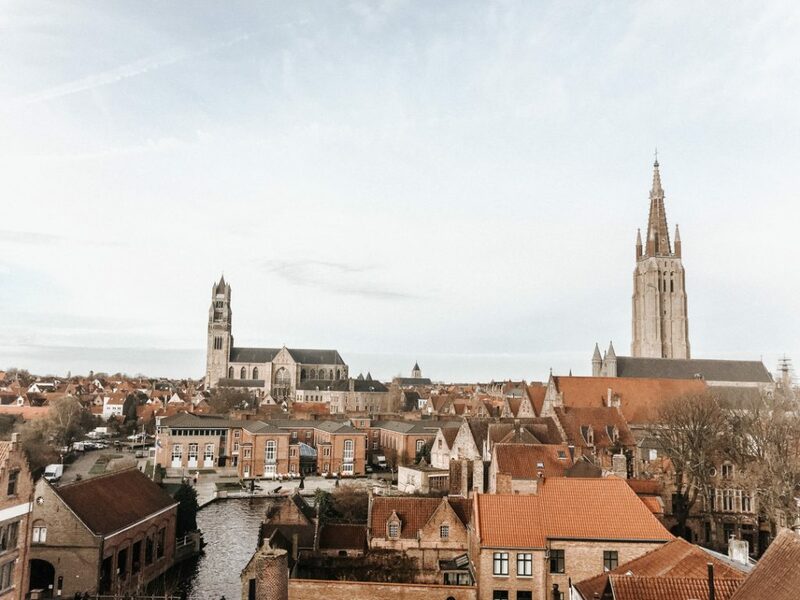 To get a good overview of Bruges before diving deeper into the things you are most interested in, take a tour of the city. There are walking tours as well as canal tours by boat (or by bus in the colder seasons). These tours cover the main sights of Bruges and show you some incredibly picturesque areas. We chose to do both a self-guided walking tour and a canal tour. Some of the sights that we saw include Begijnhof Convent and St. John’s Hospital. Pick up a guide book at the tourist office for their recommended walking route. One of my favourite things to do during a weekend in Bruges is visit Halve Maan. The brewery is family run, has a great story, and makes incredible beer. A tour of Brouwerij De Halve Maan not only includes a run down of the brewery’s history and current brewing process, but also offers one of the best views of Bruges! The ticket also includes a beer at the end which is, of course, the best part of any brewery tour. If you’re tired of brewery tours (or have already visited Halve Maan), you can head straight into the bar where they offer all the beers as well as some food. 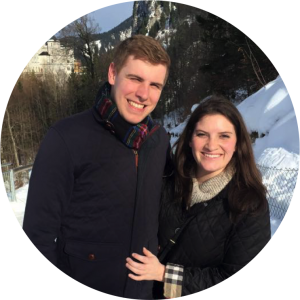 But I recommend the tour – I love the Halve Maan story! If you haven’t already wandered around the historic centre of Bruges, Saturday afternoon is the perfect time to do it. 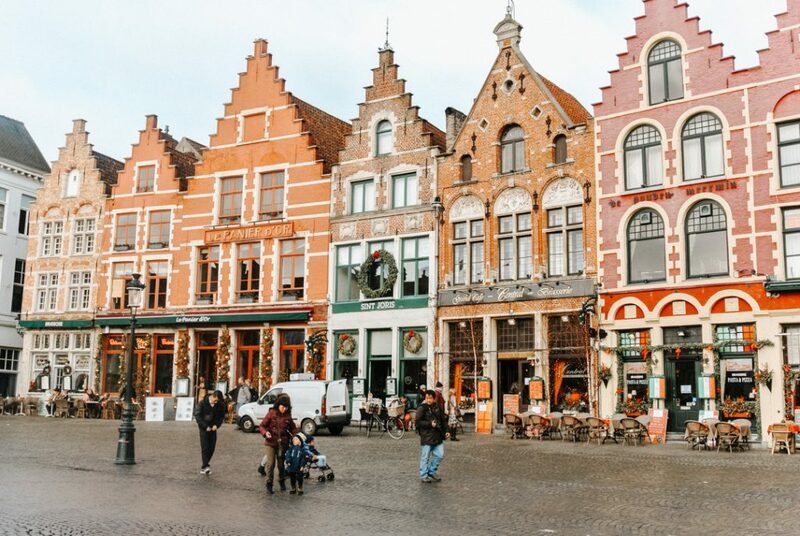 Spend your afternoon wandering the cobbled streets of Bruges, popping into chocolate shops along the way. Bruges is truly a fairytale town, so it’s easy to wander for hours on end. The buildings are gorgeous, there are some lovely shops and, when in doubt, you can stop for a beer! Start in Markt Square, pick a direction, and just start walking! Consider a visit to the Basilica of the Holy Blood for some history, or Bourgogne des Flandres Brewery if you’re after more Bruges beer. Saturday afternoon is a great time to do whatever you want to do in Bruges – after the canal/walking tour, you should have a better idea of things to do in Bruges and can choose accordingly. 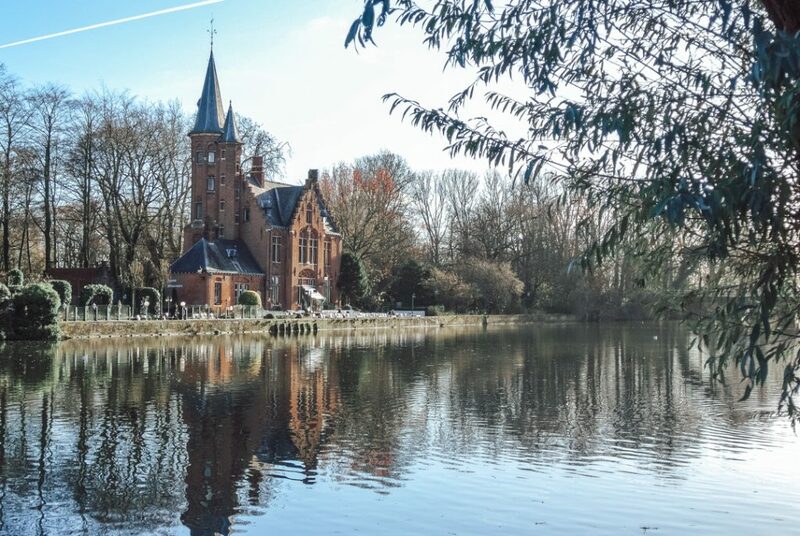 If you are visiting Bruges for a romantic weekend, don’t forget to stop by Minnewater Lake (Lake of Love). It’s a wonderful spot for a stroll or a picnic. Legend has it that you will experience eternal love if you walk over the lake bridge with your partner! Bruges’ Belfort Tower closes at 6pm each night, so it’s more of a late afternoon activity than a nighttime activity but if you visit in the winter, it’s a wonderful way to see the city at night. Climb the 366 steps to the top in order to admire the view over the city. In the winter, you will overlook Markt’s Christmas market and ice skating rink; in the summer, you’ll be able to admire the hustle and bustle of the Markt square. You can climb the tower daily from 9:30-18:00. Tickets cost €12 and cannot be purchased in advance, so arrive with time to queue. Whenever we travel, we like to ask for local recommendations for as many things as possible. Ask your hotel receptionist, Airbnb host, or even one of the barmen on your Friday night bar crawl for a restaurant recommendation. 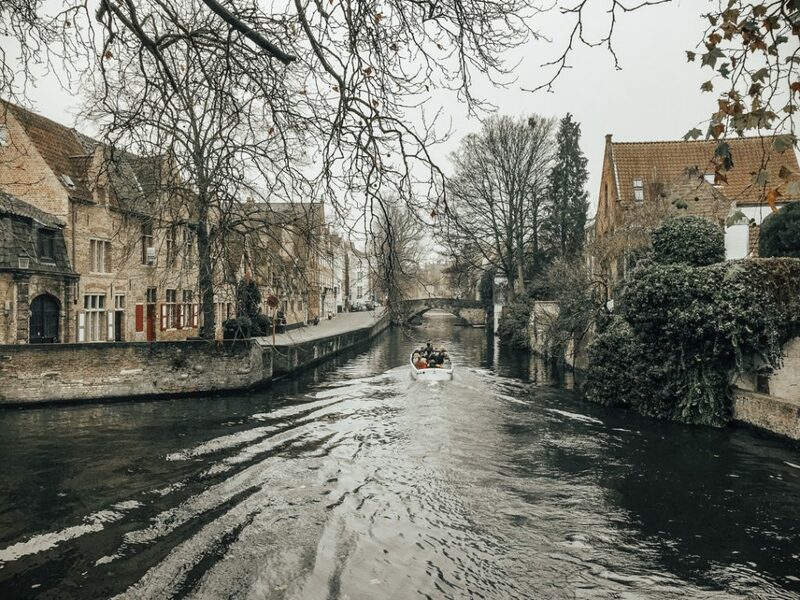 We find that these recommendations usually lead us to the most wonderful places we encounter on our travels, and a romantic city like Bruges offers endless opportunity for finding a special spot! 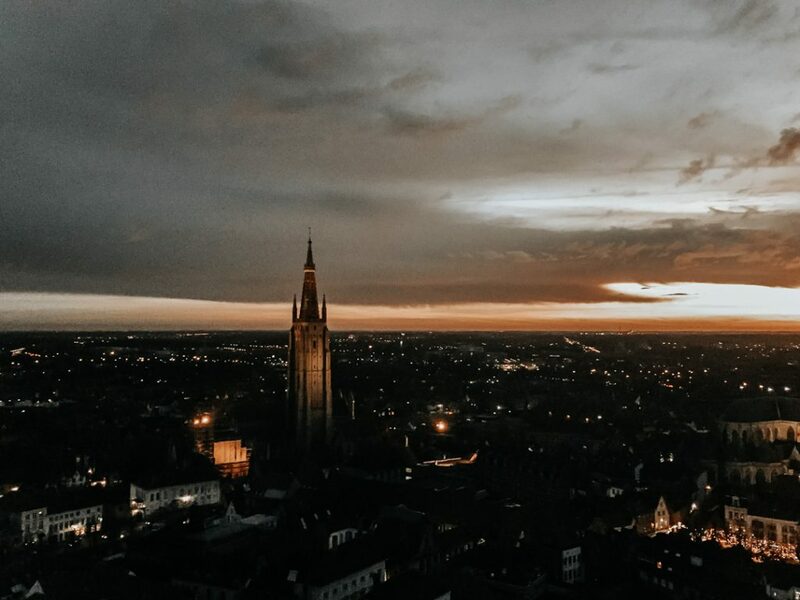 Before you say goodbye to your weekend in Bruges, take some time to get to know the city on a deeper level. To us, this means visiting a neighbourhood that isn’t considered the dead centre of the city. 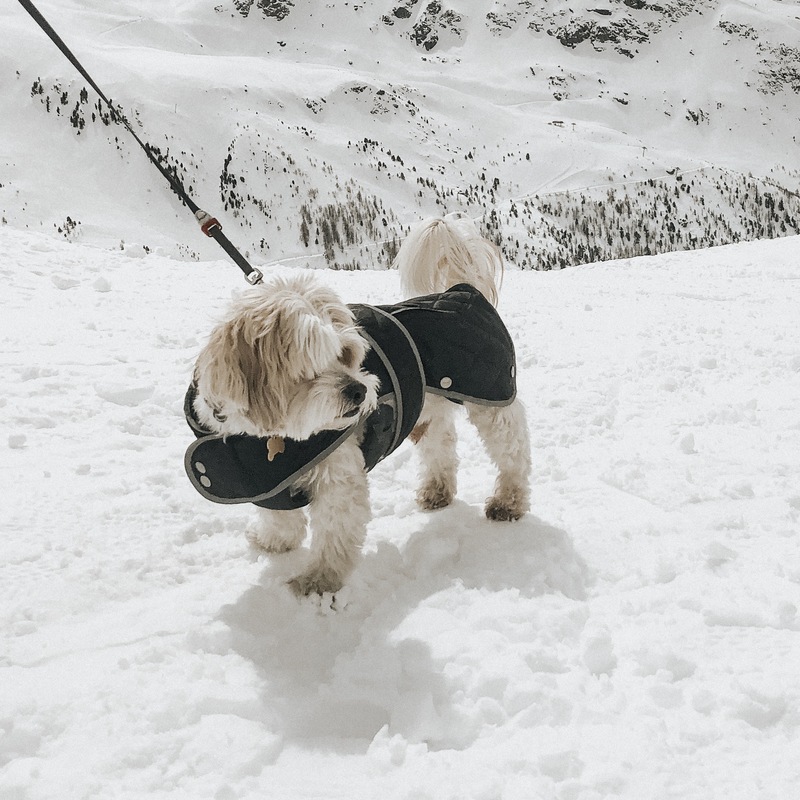 Sint-Anna is a great neighbourhood to explore that doesn’t take too much time out of your day. 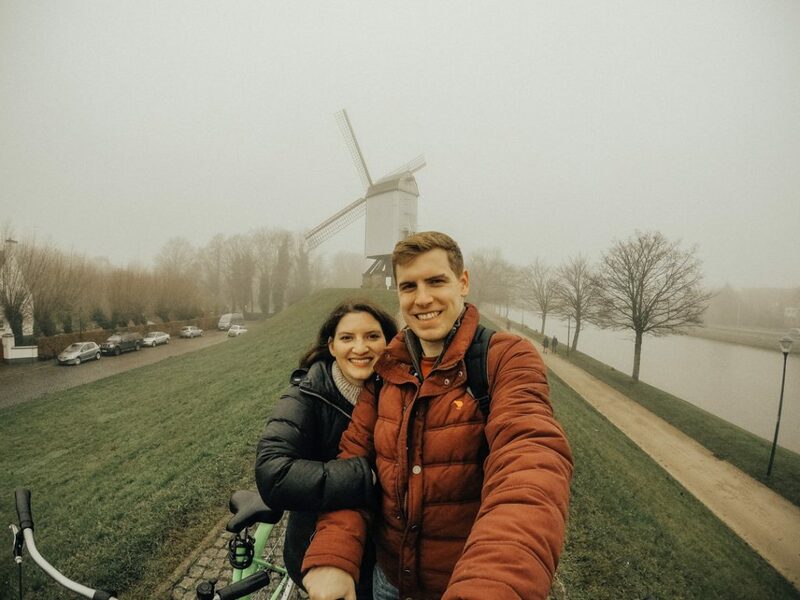 If you’re up for a real adventure, rent bikes and cycle over to the windmills. Otherwise, just take your time wandering the streets of Sint-Anna. There are coloured houses, little antique shops, and alleyways you won’t be able to resist going down. To check out the windmills, hire your bikes from Bauhaus Bike Rental (or click here to find more bike rental points in Bruges). Head for Kruispoort Gate and then continue your cycle ride on the cycle path along the river. If you need a break, pop into De Windmolen for a snack and a drink! Bike hire costs €6 for three hours, or €10 for the full day. The Beer Wall, located back in the Old Town, is literally a wall of beer. We are beer geeks, so we loved browsing the wall for beers we recognised. But, if you walk all the way down the wall, you’ll find the 2be bar. It’s a total tourist trap, but a great place to have one final Belgian beer. Sit out on the terrace if it’s nice or try to find a spot to stand inside. They have a range of very interesting beers – I’ve even had one served in a coconut! If you’re looking for some beer to take home, pop into the shop on your way out. They have every beer you can think of and (obviously) sell the matching glasses, too. The 2be bar & shop are open Thursday-Tuesday from 11:00-19:30 (closed Wednesdays). Get to Bruges via Eurotunnel! Belgium is easily accessible from London due to the ‘Any Belgian Station’ ticket on Eurostar. It requires a stopover in Brussels but, with frequent trains to Bruges, the stop is never too long. You can depart on any train within 24 hours of your arrival to Brussels, which means you have an opportunity for a ‘layover’ in Brussels if you wish to explore the capital, too! Book your train with Eurostar. Bruges has its own airport (TUI flies into it) but, flying from Europe, it is easiest to fly into Brussels and then take the train. The train between Brussels Central and Bruges is just over one hour. Check flight prices on Skyscanner. Due to its small size, Bruges is an incredibly walkable city. This means that you don’t need to worry about transport at all once you arrive! However, it’s also possible to rent bikes in Bruges if you wish to get around a different way. Plan your shoes accordingly – there are many cobbled streets! For any assistance, visit one of the Bruges Tourism Offices, located at the following addresses: Markt 1; ‘t Zand 34; Stationsplein (Station). Budget Accommodation: Novotel Brugge Centrum – Novotel is one of our go-to chains for stylish but affordable accommodation around Europe! Bed & Breakfast: Maison Bousson – Maison Bousson was the first B&B I stayed at in Bruges. The hospitality was incredible and the breakfast even better. Boutique Hotel: Hotel Jan Brito – Sean & I stayed here for my birthday and loved every moment of it. The rooms are on the smaller side, but we loved the courtyard and the living room, where we could enjoy champagne by a wood burning fire. Luxury Hotel: Hotel de Orangerie – We haven’t stayed here yet, but it’s at the top of our list for our next trip to Bruges. The location is perfect, and I absolutely love the decor! For a romantic weekend in Bruges, we highly recommend Hotel Jan Brito. You can spend your day exploring and finish it off with a nightcap by the fireplace in the hotel. 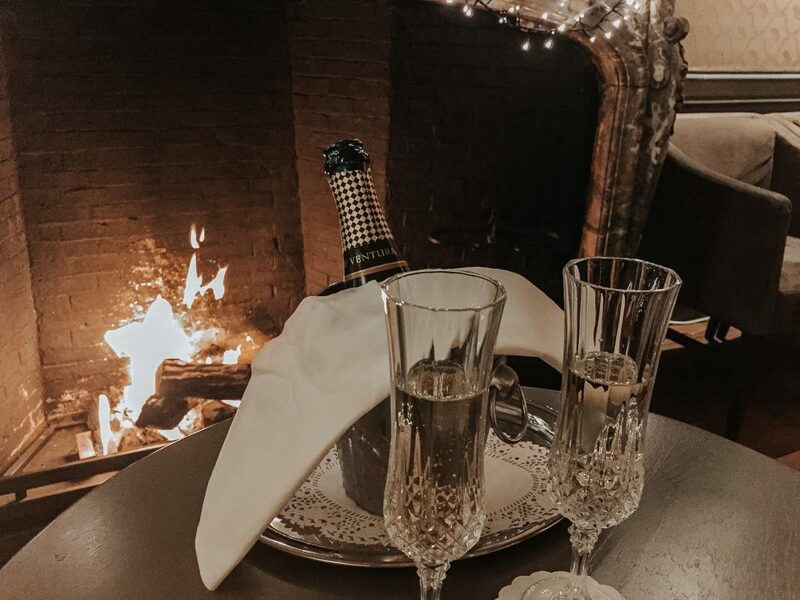 It’s the cosiest & most romantic way to end a day in Bruges! If you have any questions while planning your weekend trip to Bruges, drop them in the comments below. 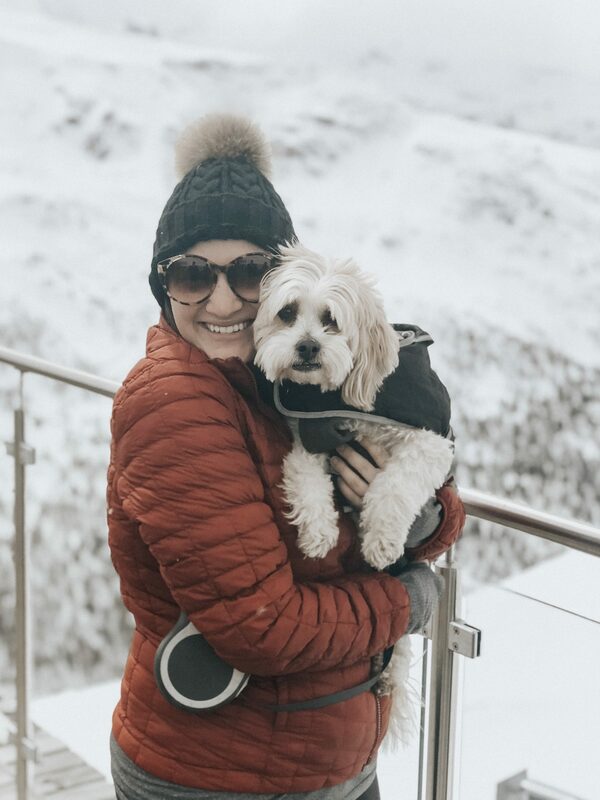 Whether you’re looking for romance, a girls weekend away, or a fun place to spend a weekend with family, Bruges should be on your list! 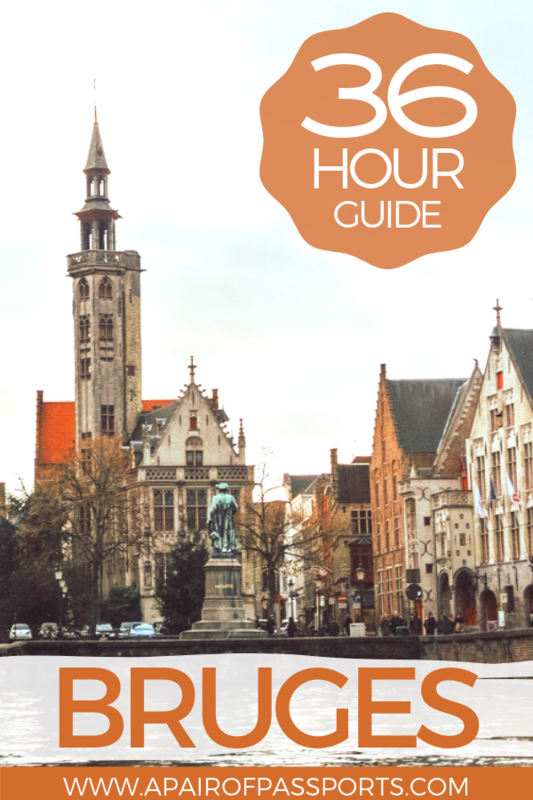 Don’t forget to check out our Bruges winter guide if you’re visiting in December or January. For more weekends in Europe, click here. Add this to your “Europe” or “Belgium” board on Pinterest! Oh I love this! Your post really made me miss Bruges. It’s such a cool and colourful place. I lived there for one months when I first started traveling and haven’t been back since 2014. Definitely need to make a visit happen some time soon. Thank you 🙂 And yes, we do! It’s a great thing to love when traveling Europe – there are so many wonderful craft beer bars and new beers to try. Ooooh, I love how you have lots of suggestions for beer bars. Last time I visited Brussels, I really fell in love with Belgian beers. I hope next time I can visit Bruges and enjoy more beers!